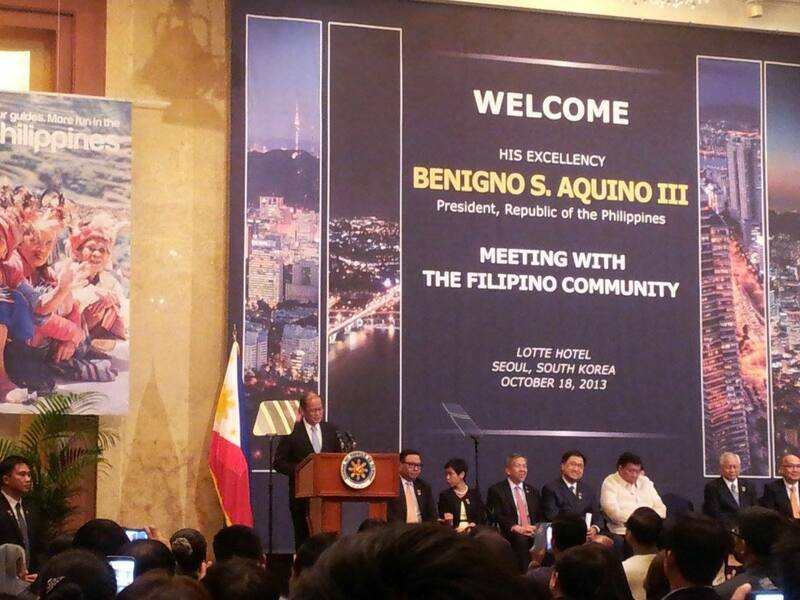 As stated in a previous post, the Philippine president Pnoy Aquino is scheduled to meet with the Filipino community in Korea on October 17th. The meeting took place at the Crystal Ballroom of the Lotte Hotel in Myeongdong. The ceremony started at 6 o’clock until 8 o’clock in the evening. A highlight of the meeting is the awarding of the “Order of Lakandula” to Cong. Jasmine Lee. It’s a well-deserved award! A few of my closest friends were there to cheer for Cong. Jasmine Lee, who had to leave earlier to catch a flight to Nairobi. She will be on a multi-country tour of Korean Embassies for the annual government audit. Of course, she won’t see her good-looking and responsible kids during that time. This woman should seriously give a lecture on parenting. She raised her kids so well! Cong. 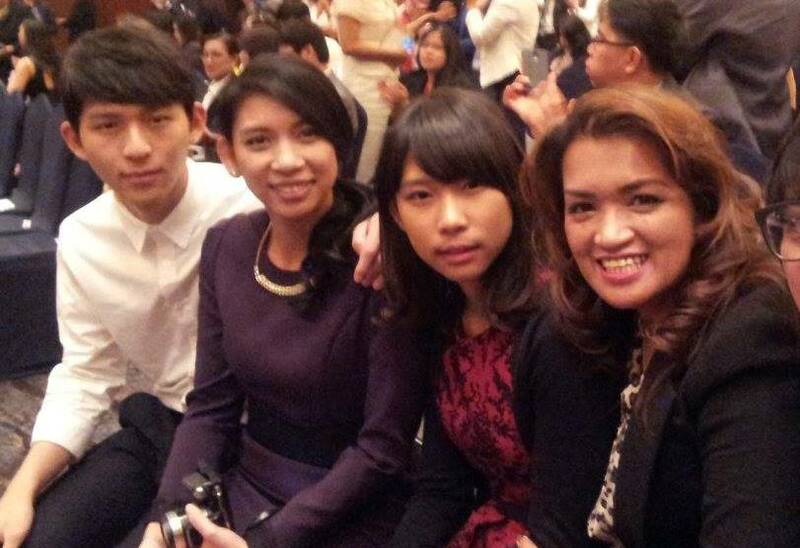 Jasmine Lee wore an elegant purple dress and she looked so young huh! Anyway, my FB wall was flooded with photos of friends who attended the meeting, much to my annoyance ~ harharhar! Senator Pork Frank Drilon was also there, the only one who wore a “barong”. On the pictures that I saw, Pnoy didn’t seem to be wearing his yellow pin. I wonder what Pres. BS (called “Boy Sisi” by some) Aquino’s speech was about since friends didn’t bother to mention it. I wonder if they did listen to his talk, or if they were just busy taking selfies. Anyway, I hope the presidential trip is a fruitful one. I hope the relationship between my home country and my adopted country becomes even more stronger. Cheers to a Philippine-Korea cooperation!